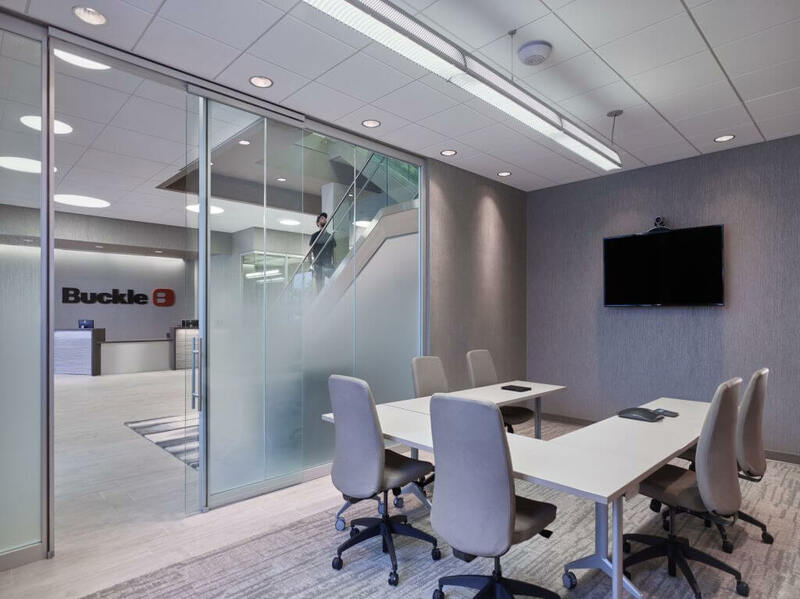 You are here: Home / Case Studies / The Buckle, Inc. 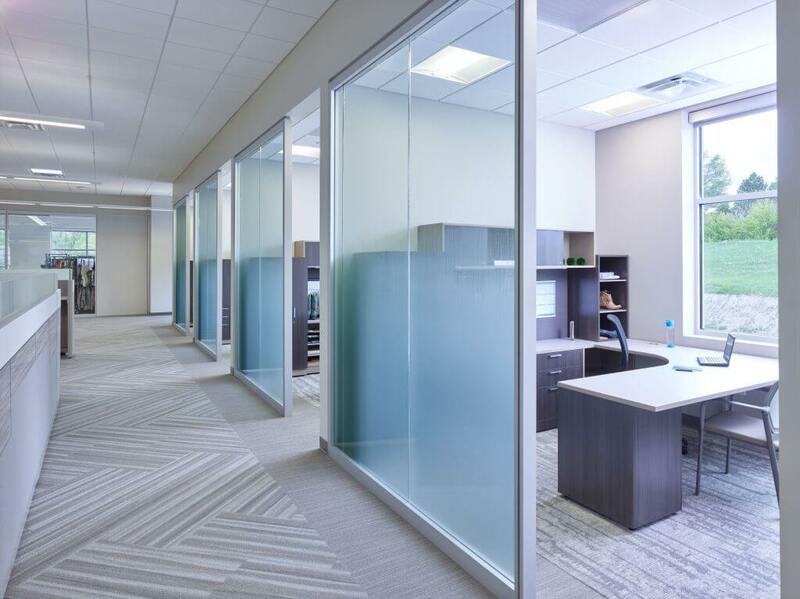 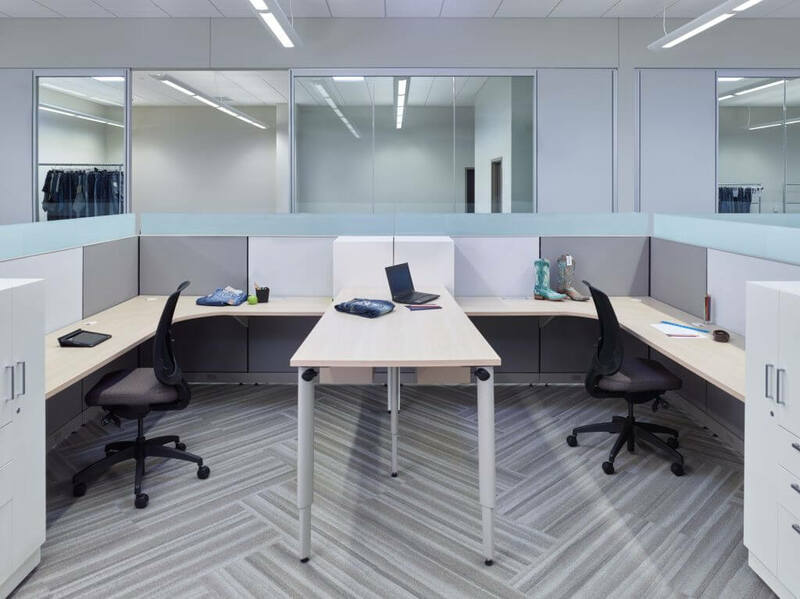 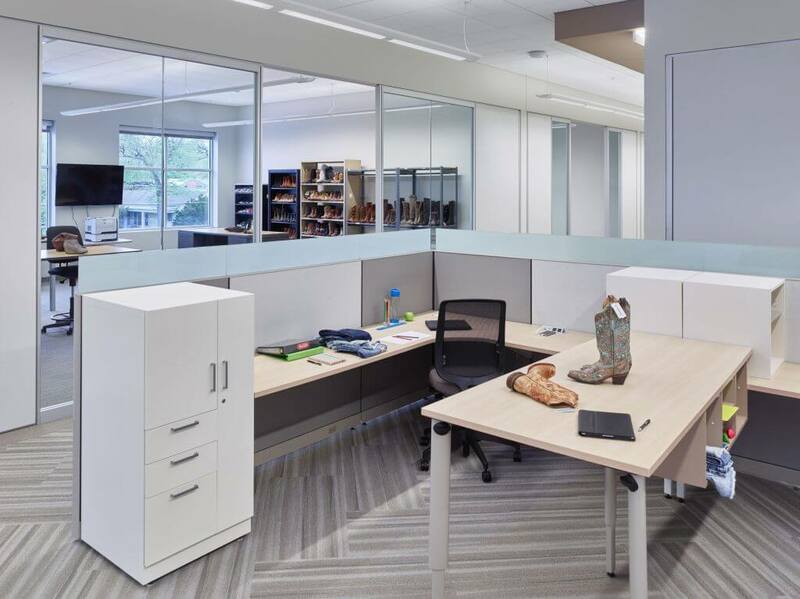 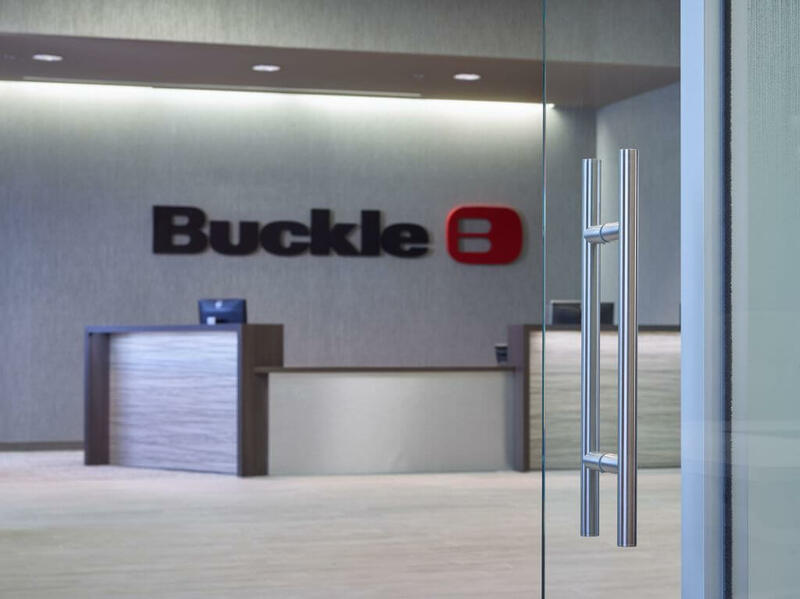 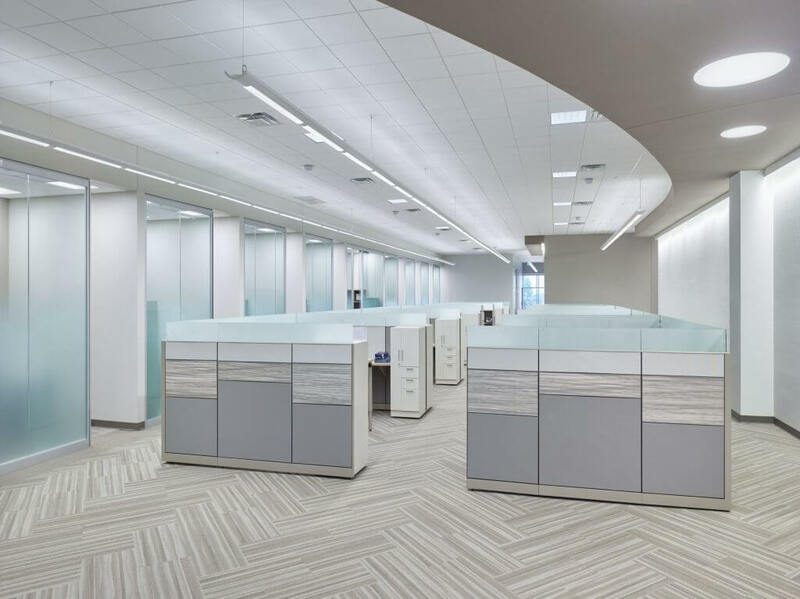 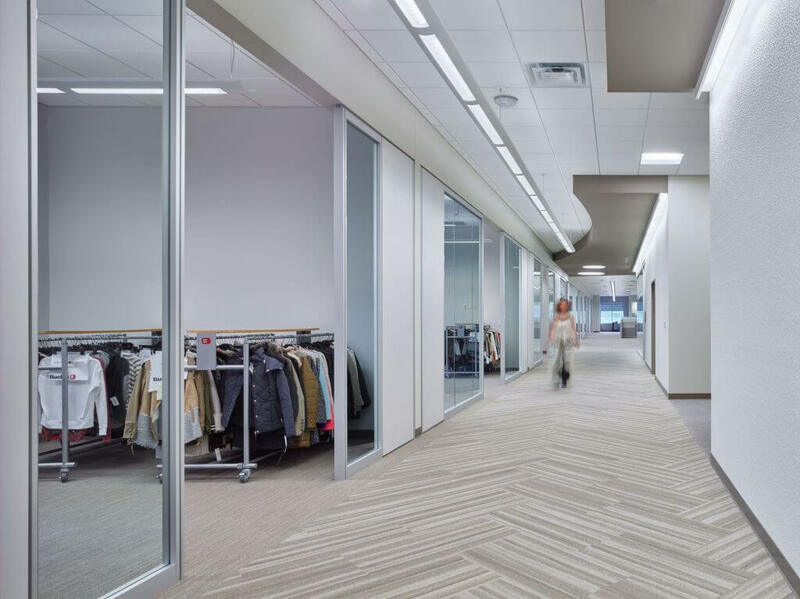 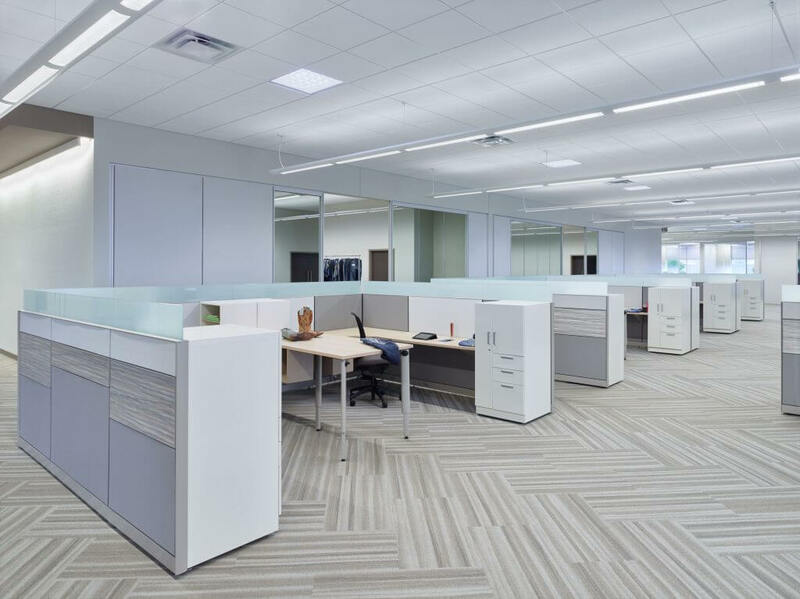 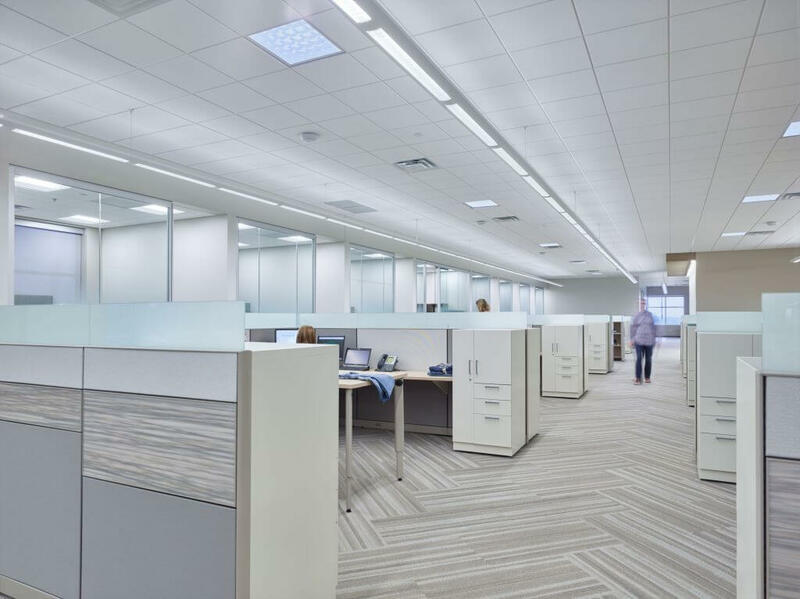 The Buckle, Inc. expanded its existing headquarters into a multibuilding facility to better accommodate their growing teams and changing work environments. 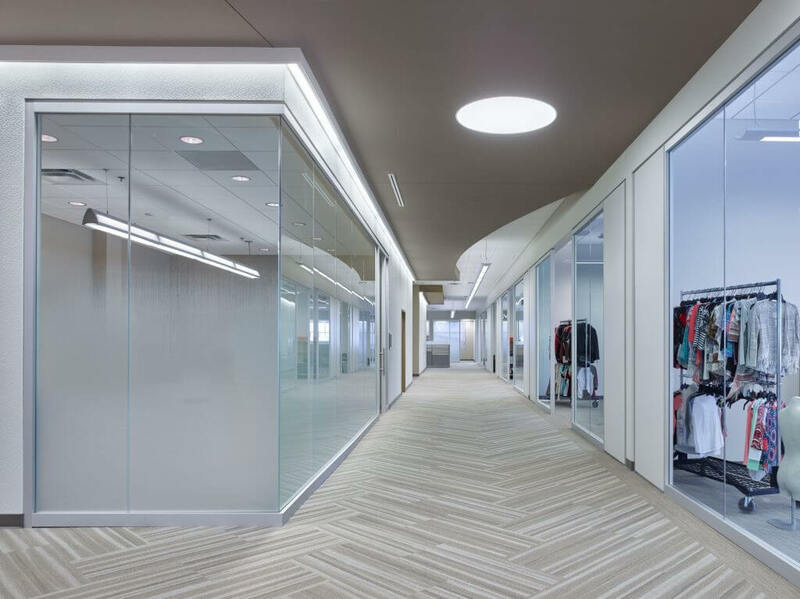 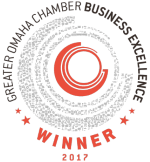 Work zones, huddle areas, glass storefronts, and internal meeting rooms were strategically planned on both floors. 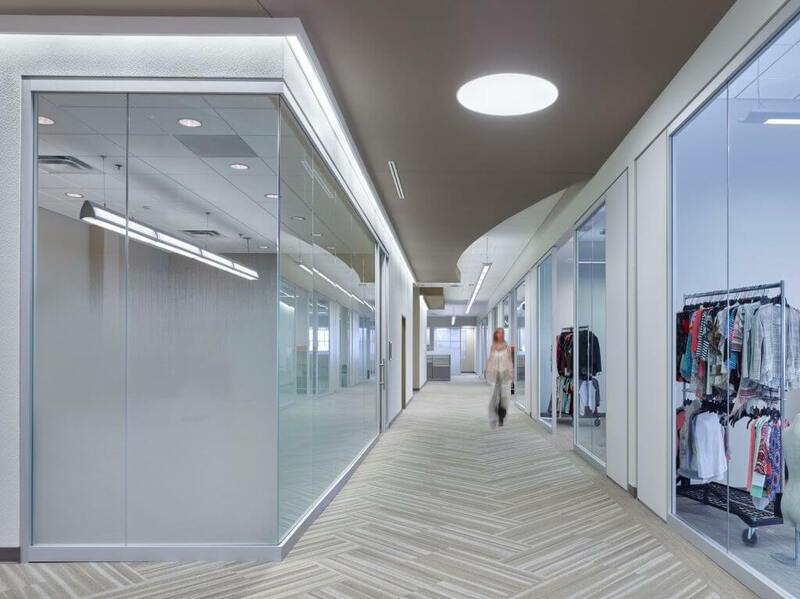 The building features large windows, Beyond frameless glass walls, and skylights to maximize natural light for the interior workspaces.